Book now: In Place of War pres. GRRRL ft. Speech Debelle + more. In Place of War (IPOW) is a support system for creative communities in places of conflict, working with over 100 grassroots communities around the world to provide innovative solutions that actually listen to the needs of those on the ground. 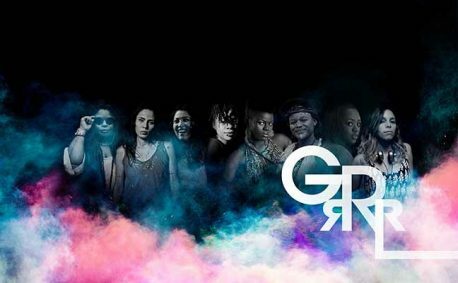 Their latest project is GRRRL, a collaboration which brings together revolutionary female artists to tell stories of their life, inequality, conflict and change through music, blending together techno, hip hop, reggae, ghetto bass, soul and electronica. Directed by Brazil’s Laima Leyton (Soulwax/Mixhell), the project will feature eight influential artists including rapper Speech Debelle, Zimbabwe’s Rapper Queen AWA (African Women Arise), nu-jazz and folk singer Nono Nkoane from Cape Town and the Queen of Brazilian Dancehall, Lei Di Dai. They bring their live show to our rainy city at the end of the month, but keep a look out for their panel discussions and workshops that will focus on women, music, war and activism.